We can all agree that good nutrition is important to live a healthy life. When we think about fruits and vegetables, we never question whether they are healthy or not. Some may have subjective thoughts about their flavor and uses, but I personally have never questioned their nutritional value to our health. On the other hand, when we talk about MEAT…thoughts scatter and we get mixed emotions about the reality of the health concerns associated with it. Some media outlets have portrayed meat to cause HEART DISEASE, while others inform us that meat is important to consume for optimum health. Does eating meat increase the risk of heart disease?? According to researchers in the article A Contemporary Review of the Relationship between Red Meat Consumption and Cardiovascular Risk, consuming red meat is putting people at risk of heart disease because it has been related to high saturated fats and cholesterol content. Even after nutritionist and doctors recommended a diet with lean meat, it was still found to have high amounts of saturated fats that were still putting people at risk (Bronzato, 2017). Why Fats? Fats are also essential to our diets, because they provide the body with energy, help make hormones and also help the body absorb certain vitamin which allow our bodies to function at their highest. However, there are different fats and it is important to understand what they are to make better dietary choices and avoid getting heart disease. *** Saturated fats: these types of fats raise something that is called low-density protein (LDL). This is the type of cholesterol you want to avoid, because it is the high one that may put a person at risk of heart disease. Saturated fats are mainly found in meat, dairy products, fried food and baked goods. *** Trans fat: this is the type of fat that we consume when cooking with oils. These fats are what give food a better tasting quality and preserve the shelf live of cooked food. Unfortunately, just because it makes the food taste good doesn’t mean it is good for our bodies. Trans fat also increases out low-density cholesterol (LDL), which increases the risk of heart disease. This type of fat is also found in meat, but it is mainly found in baked goods, fried food and snacks. These two types of fats are mentioned, because they are the most commonly consumed by people and are what set the action of an increased heart rate, leading to heart disease if not managed. The Unprocessed Red and Processed Meats and Risk of Coronary Artery Disease and Type Diabetes article, states that regardless of this information, studies found that high consumption of sodium, fats and processed food can lead to heart disease, but research has also determined that red meat itself in a diet does not increase the risk of the disease– a combination of unhealthy consumptions do. People should be aware of the overall effect food can play on their health and should reduce the amount of processed food to maintain good health. Although studies on this research reported that the consumption of meat can play a part in developing heart disease, researchers also debunked the myth that eating meat alone cannot cause heart disease. A combination of a persons dietary choices and level of activity is what determines overall health and meat just happens to be the main factor involved (Micha, 2012). Why is Meat is Unhealthy? As we continue searching for the truth about meat, videos like the one above strictly focus on what meat itself can do to a persons health, which is what misleads people into thinking that’s the only problem. This video disregarded all other factors of a persons lifestyle that may be contributing to the disease development and focused only on educating the public on the components that can make meat unhealthy. 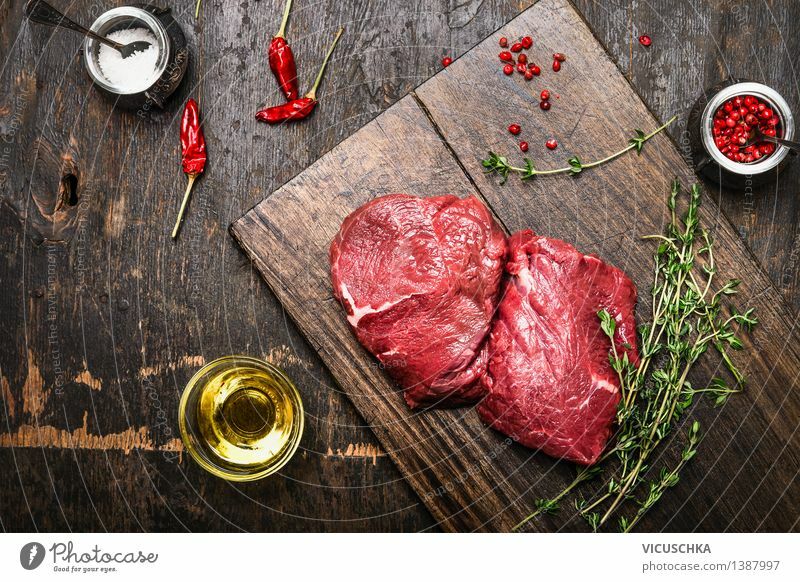 According to the article Health Risks Associated with Meat Consumption, evidence was found in the connection between meat consumption and life style factors that contributed to a person developing and dying from heart disease (Richi, 2015). Although it is true that meat is a great source of nutrients, proteins, vitamin A, Bs, iron and zinc, researchers also claims that not consuming meat can deprive us from these essentials and create other health risks. Moderation in meat consumption along with a diet that involves fruits and vegetables is what researchers recommend to live a healthy life. Overall diet should be taken into consideration when determining health patterns (sugar and redefined carb intake) and highly processed fat. Good research on diet is hard to do, because researchers are not studying the right people. Instead studies are made on people who drink/smoke, overeat and were not very active. People who ate less meat on studies were healthier, because people who were more health conscious lowered their meat consumption due to the skepticism of meat and took better care of themselves. This video does a good job in expanding our thoughts as to why people are more prone to develop heart disease based on their overall lifestyle choices rather than just focusing on their dietary choices. It provides a different perspective, but ultimately adds to the confusion of whether or not eating meat causes heart disease. Overall, it is safe to say that research has determined two facts– Meat consumption can play a key role in the development of heart disease, but the though that meat alone is the cause of disease is not true. The studies have proved that a persons poor choice in food is what will ultimately lead a person to illness. What we choose to consume will consume us.